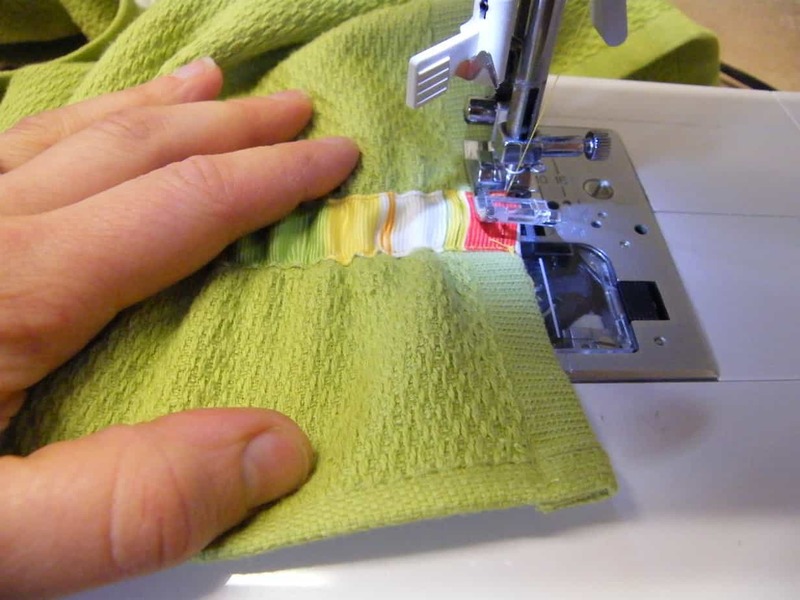 Toddler Towel Tutorial (say that three times fast). This is the second installment of my May Arts Design Team call submission. The other day I wrapped a bath towel around myself and Ruby wanted one just like it, so I used the hand towel, that is where the light bulb came on for this project. I used to have a towel just like this one when I was in college, so I based the project on that one. This towel would be great to wear out of the tub, or over a swimsuit at the pool! 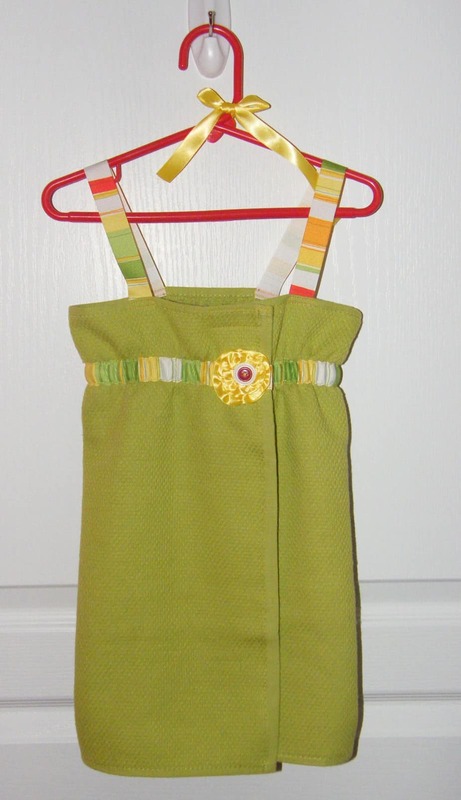 This project is suitable for a little one aged 1-3 years. 1. Measure under the arms of your subject (20″ if you don’t have a wee one). 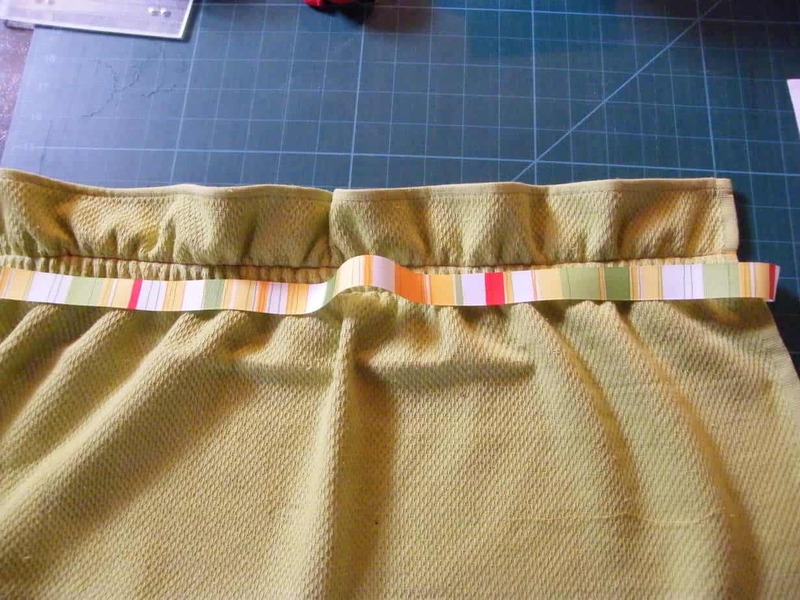 Minus 1″ from measurement and cut elastic to this length (19″). 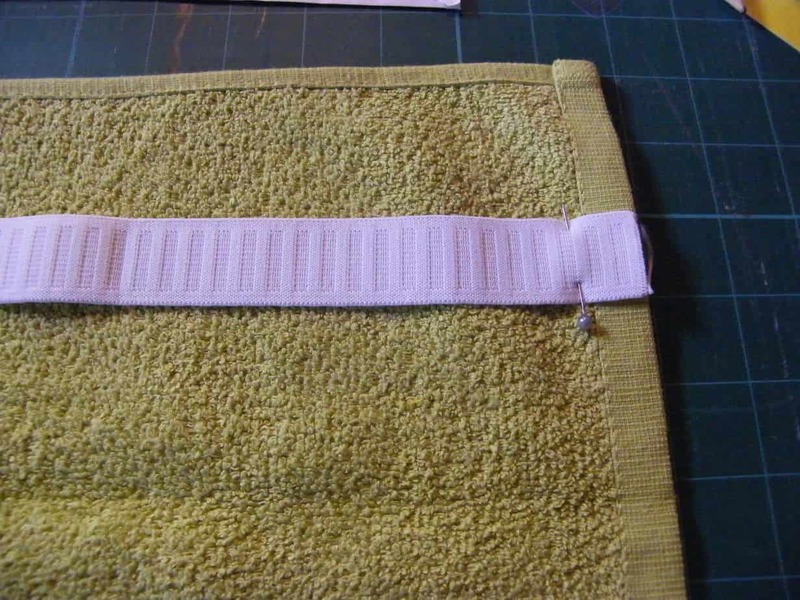 With hand towel laid out measure down 2″ from top, pin elastic to the wrong side at both ends and in the middle (this is easier done with an extra set of hands, one to stretch one to pin). 2. 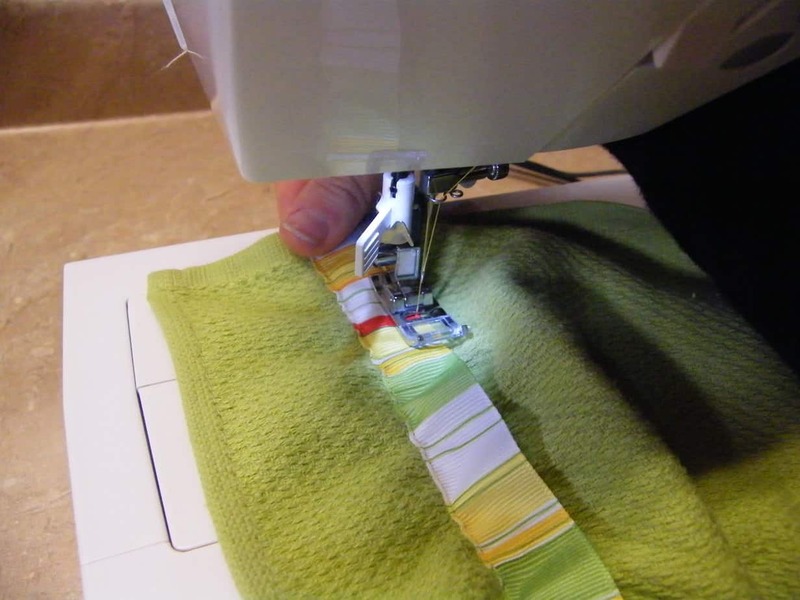 Sew a 1/4″ seam on each side of the elastic, gently stretching elastic towards you as you go. 3. 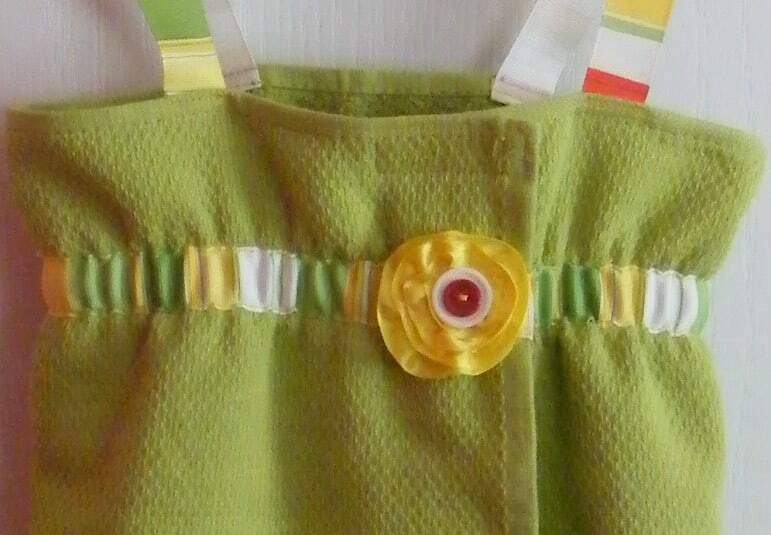 With wrong side of ribbon facing the elastic band, zig zag edge (to prevent fraying). Do this on both ends. 4. 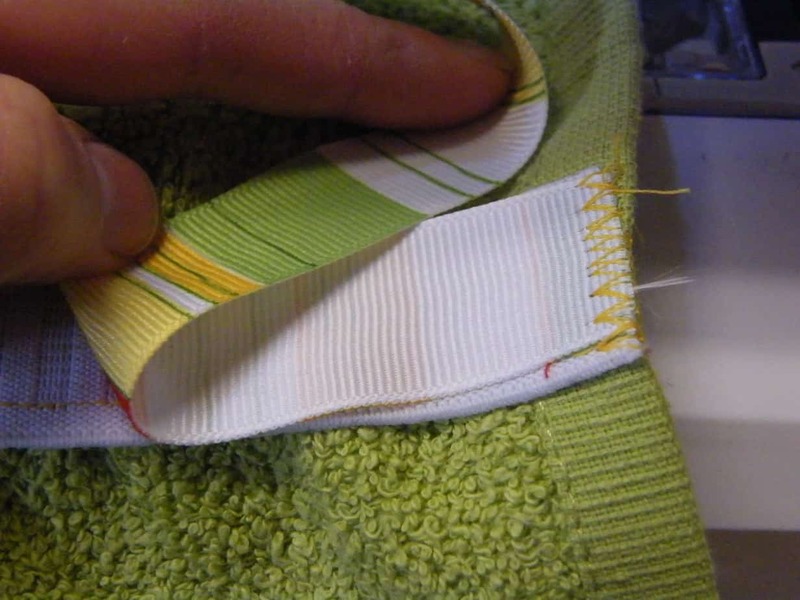 Flip ribbon over the top of the towel (the right side will showing on the right side of the towel) Pin ribbon on both ends and in middle over elastic seams, stretch to be certain ribbon will be the correct length. 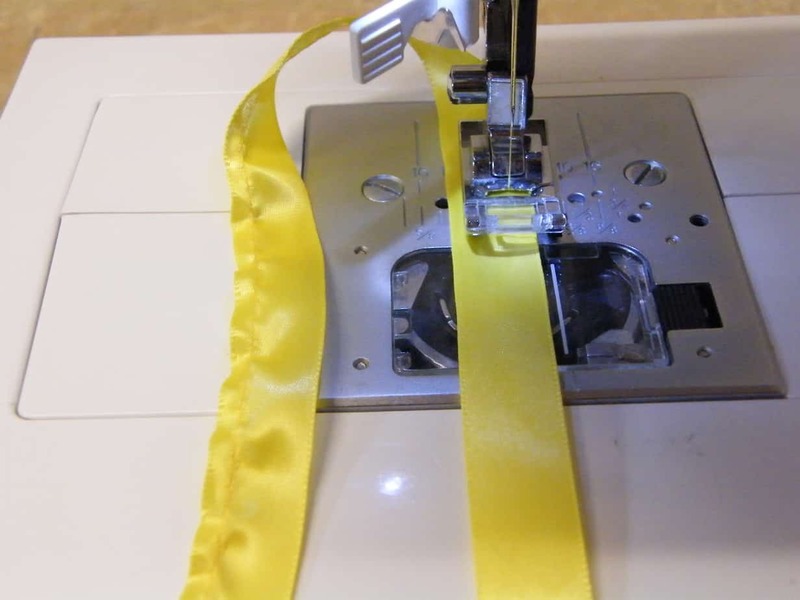 Sew a straight seam on both sides and ends, as close to the edge as you can. 1. 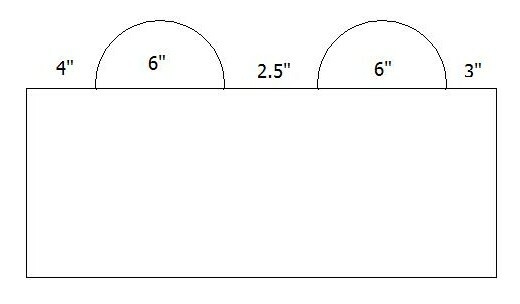 Measure and cut two pieces 11” long. 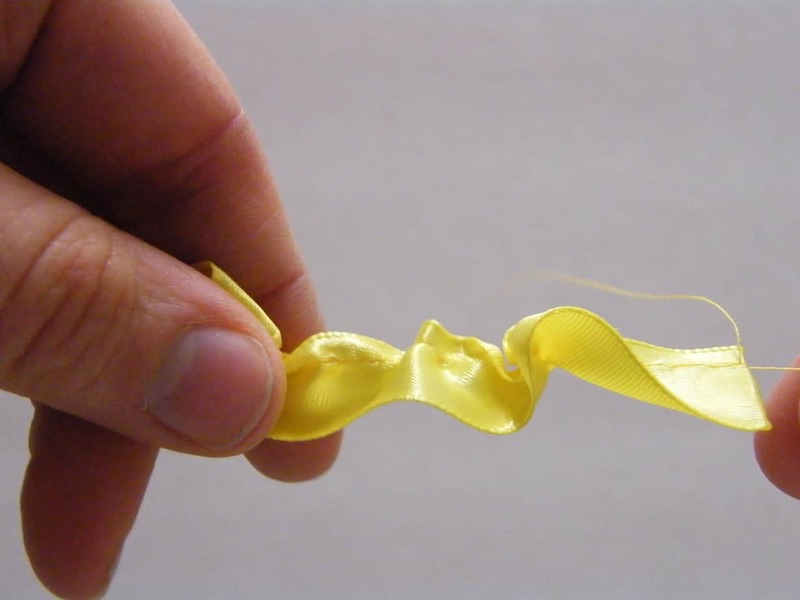 To prevent fraying melt ends of ribbon with a lighter. 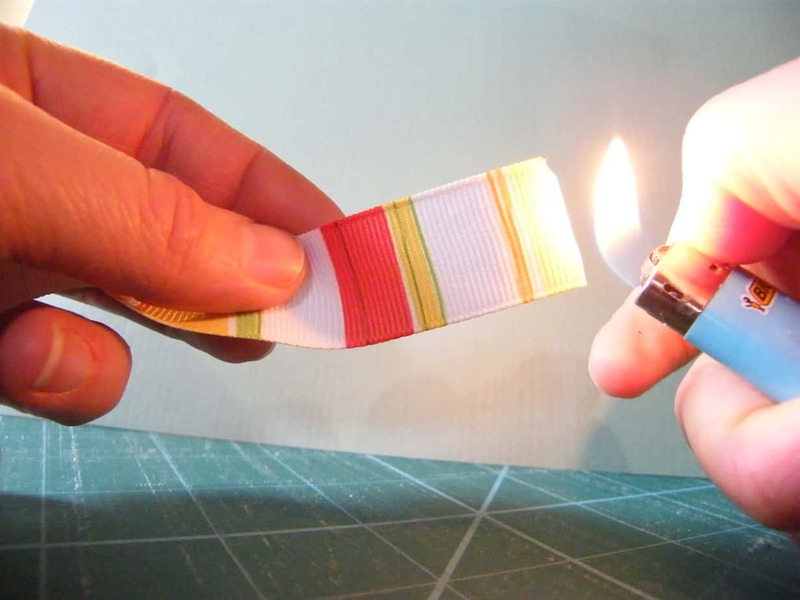 Do not touch ribbon to flame, just hold close enough so heat will singe the tips. 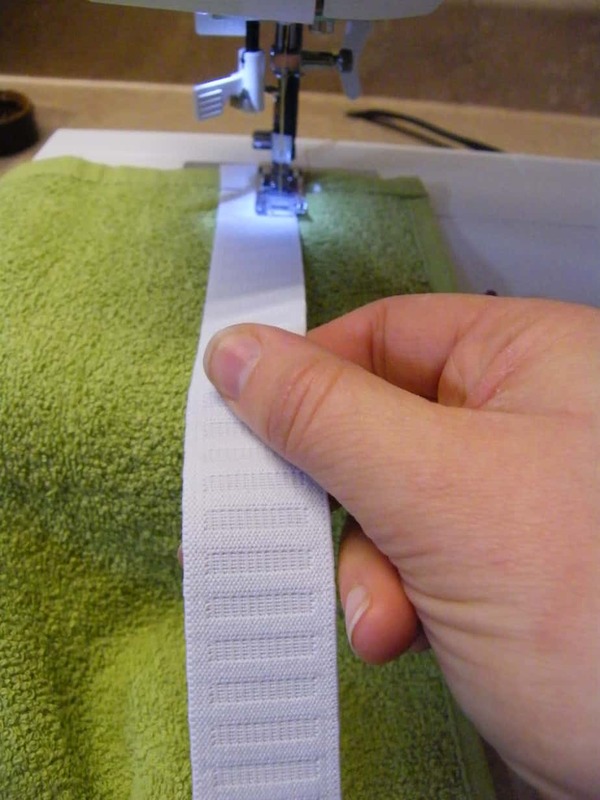 Using an embroidery stitch (or go over twice, to ensure they won’t pull off) sew each end of strap to the towel. 1. 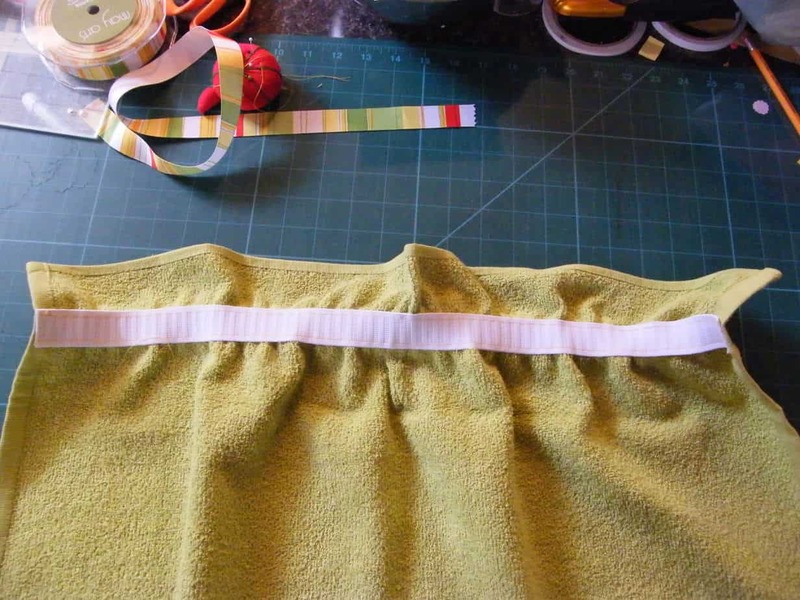 When folded, the shorter 3″ side will be the part that is underneath and the 4″ side will overlap. 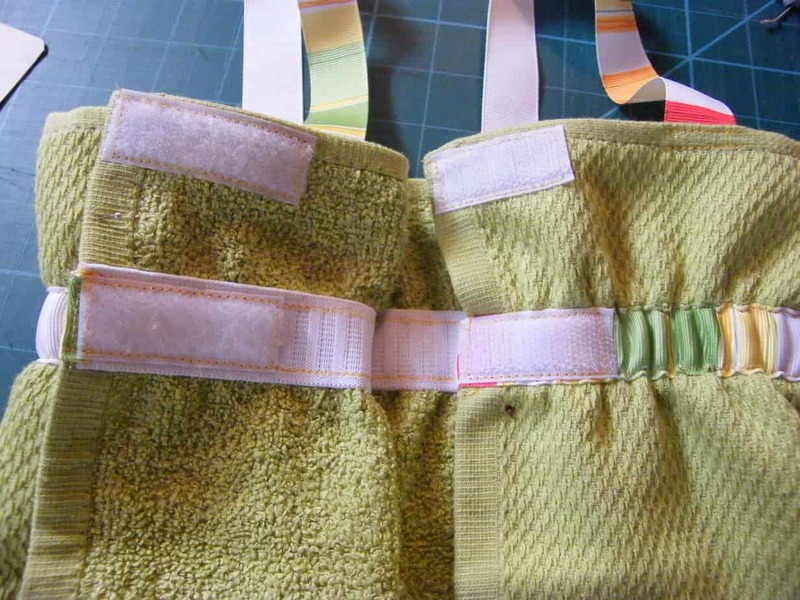 Sew a 2″ vertical strip of Velcro to the inside outer edge of the elastic (wrong side), and over the ribbon (right side), and a second piece on the two top outer edges. I like to put the rough side on the 3” piece so it will be away from the body and won’t scratch (if you can get to no pile stuff that would be ideal). 1. 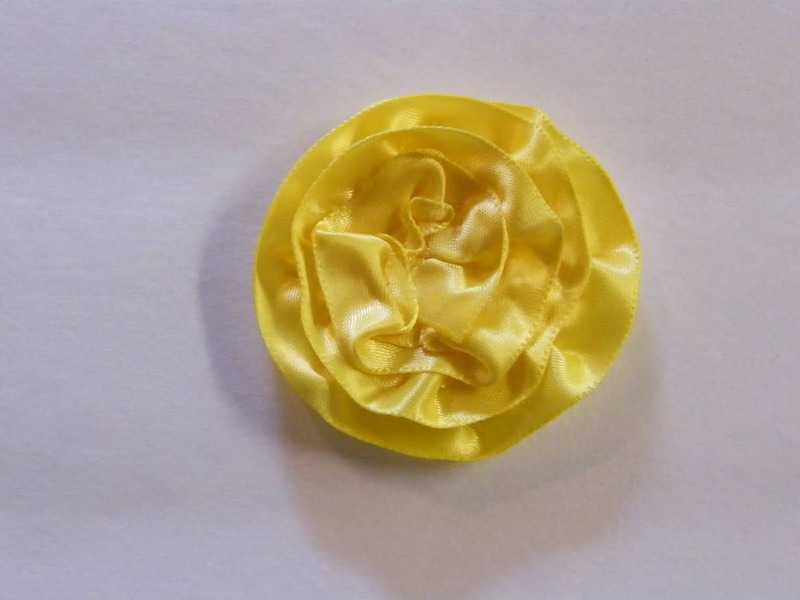 Cut and melt ends of a 10” piece of ribbon (I used silky ribbon, but the choice is yours). 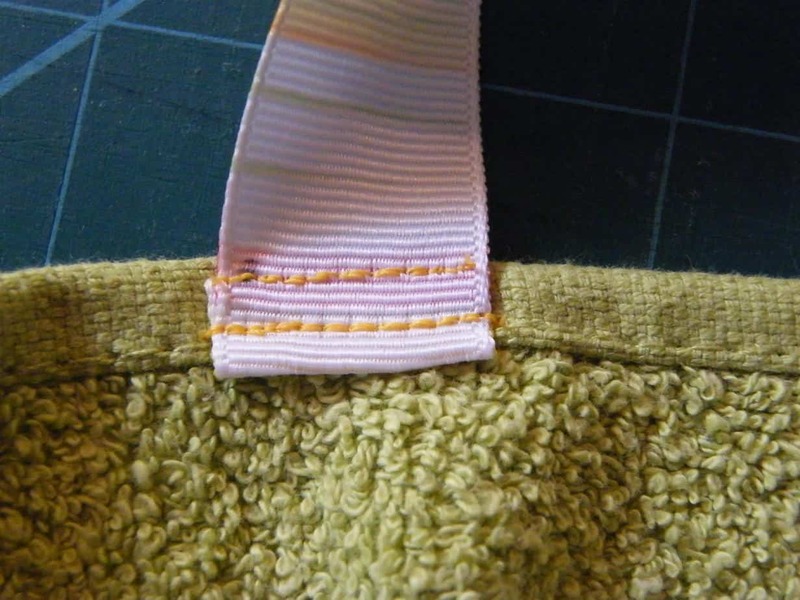 Sew a line on the edge of the ribbon with the stitch lenght set to the max (mine is 7). 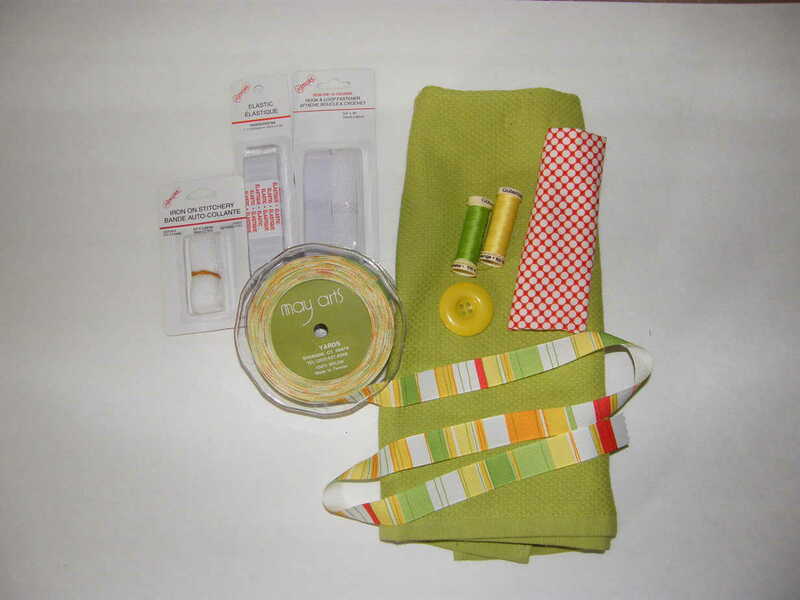 Pull bobbin thread to sinch the ribbon. You will notice to ribbon will naturally want to spiral. 2. 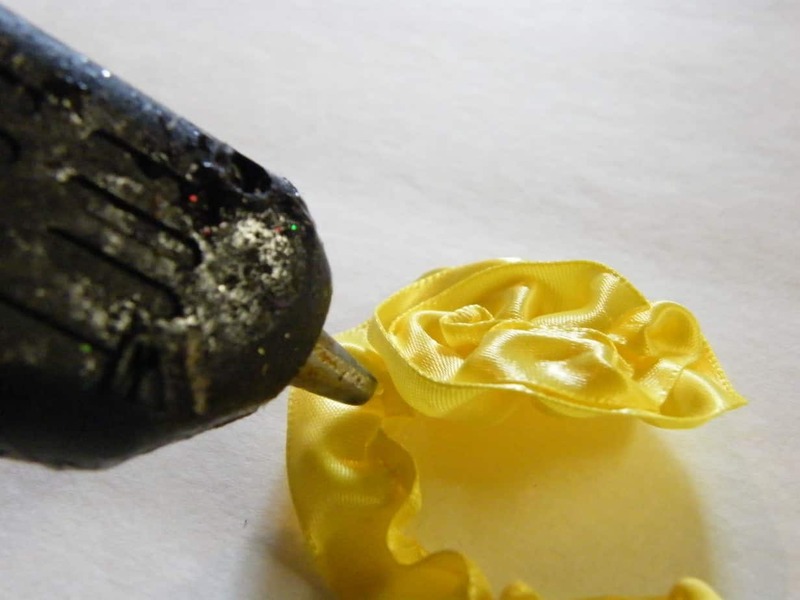 With a hot glue gun, glue ribbon in a coil shape, overlaping the sewn edge to hide it. 3. 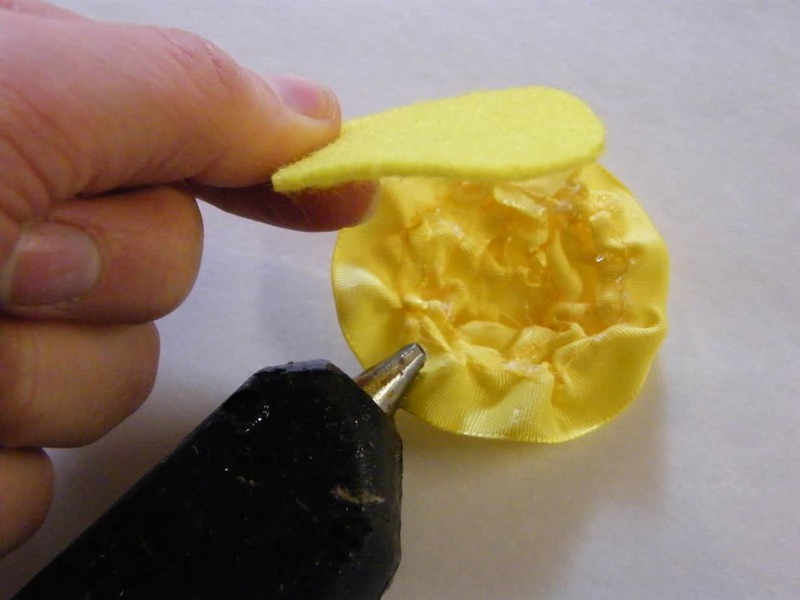 To ensure the flower will hold its shape, glue a felt circle to the back side of the flower. I tried really hard to get a great photo of my model wearing the towel, but she just wasn’t going to stay still this day. There you have it, a cute beach/bath towel for your wee one! Virginia, you are SOMETHING ELSE. . . how sweet!!! Such a cute idea! Will have to try, and fab instructions!